Screws into place on the 2019 Model Filtrals. 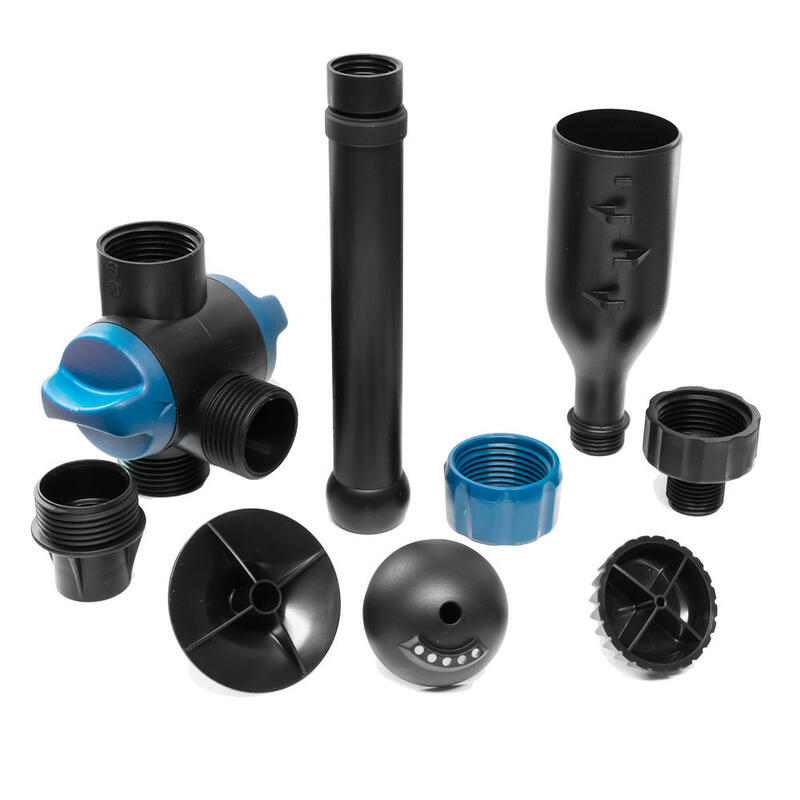 Comes with 3 different Nozzle heads, telescopic central stem and flow adjuster valve. 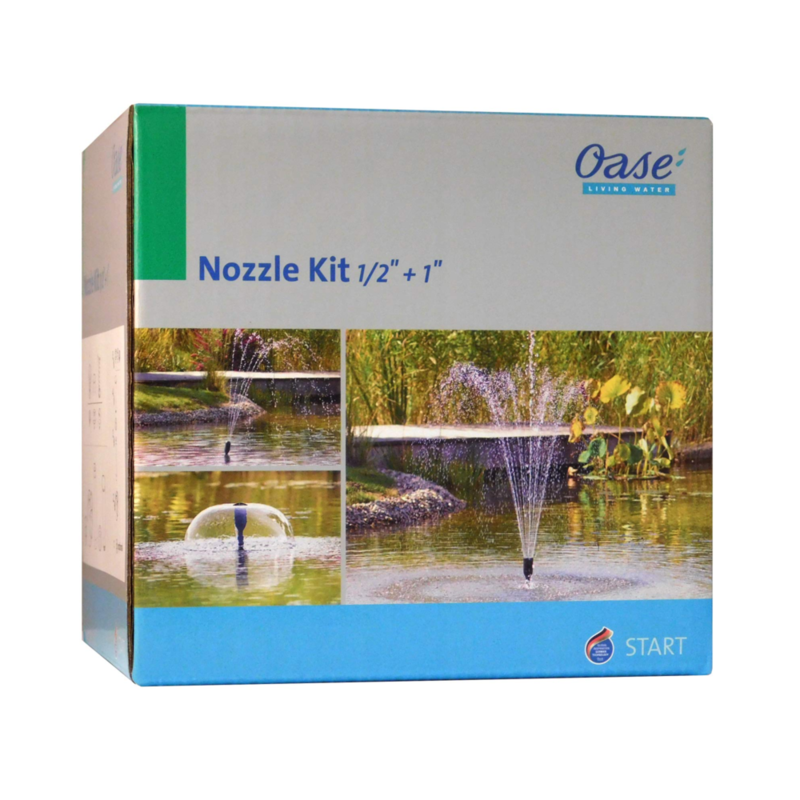 New for 2019 - Oase Filtral Nozzle kit. The kit can be used to attach to the top of the 2019 model Filtrals to create a decorative fountain. The set includes 3 different nozzles that will create various spray patterns. Also included is a telescopic riser to enable an easy height adjustment and a simple to use flow valve for regulation of fountain water flow.